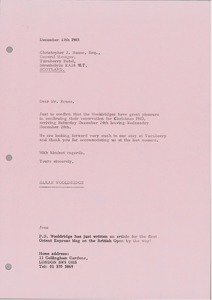 Wooldridge confirms her reservation for Christmas 1983. 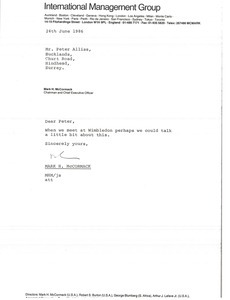 Chilcote encloses slides taken at Wimbledon, as well as three faxes between the Cleveland office and the Tokyo office. 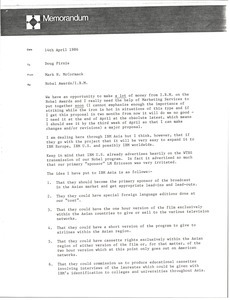 McCormack feels they can make money from IBM on the Nobel Awards. 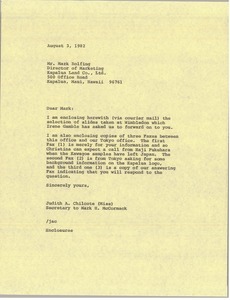 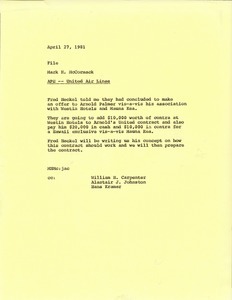 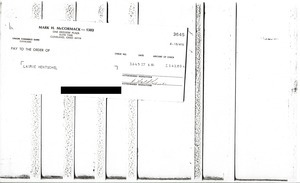 Cleveland (Ohio) - Copy of a check from Mark H. McCormack to Laurie Hentschel. 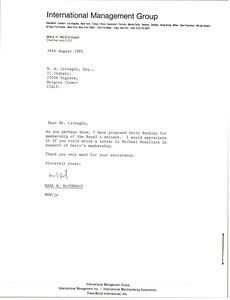 Informing the Golf Committee of Bruce Rappaport's possible interest in a Pro Amateur relating to the opening of his oil refinery in Antigua. 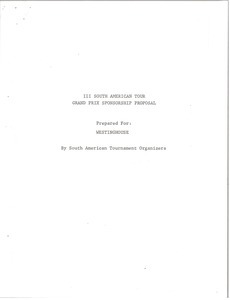 South America - Includes details on the Grand Prix South American golf tour, such as background infromation, schedule, points scale, prize money, and execution of sponsorship. 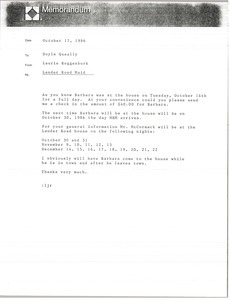 Roggenburk writes regarding the Lander Road house maid. 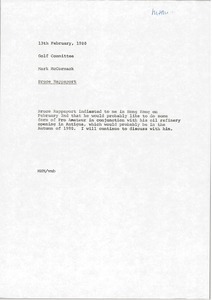 McCormack has proposed Gerry Buckley for membership at the Royal and Ancient Golf Club of St. Andrews.